Not a lot of people know that the star of 24 has a track record outside the film and TV industry. Yet this Hollywood actor is the type of guy who puts the same kind of dedication and commitment into his side projects. You’ll be happy to know that his new band and album put other film industry hobby acts to shame. Sutherland released his debut album Down In A Hole late last summer which consists of 11 songs of pure country and Americana. Come experience a special album launch for Norton Lake. This self taught musician has been traveling the world: Nepal. China. Europe. 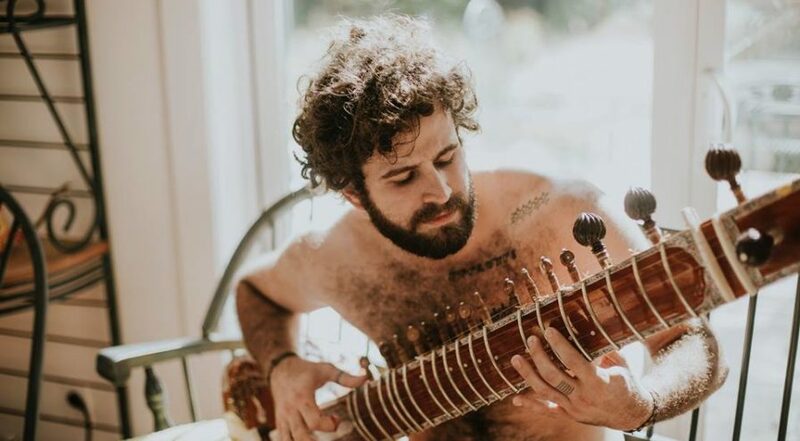 Costa Rica and he exotic instruments found on his album Anahata are nothing short of breathtakingly refreshing. Sitar, tabla, slide guitar, ukulele, mandolin and tibetan bowls complement the soft guitar melodies and deep bass grooves. But most importantly, his music is heartfelt and organic, something hard to come by in today’s music business. Minor Sun’s Infinite soundscapes await you. Influenced by bands like The Black Keys, The Doors, and Bob Dylan, their layered guitars are interwoven with keyboards, groovy bass lines and strong drum rhythms. If you are into modern and retro psych rock, you’re gonna dig this five-piece big time. No Fly List channels the likes of Thin Lizzy, Lemonheads, and Aerosmith to pump out their brand of Power Pop Rock with an alt-country edge. They’ve got two solid albums under their belt and a ton of road warrior tour experience. It will be a true delight to see these guys live in action. Kickdrum Productions and Sala Rosa present a fine evening of live music. Foundling will be giving us a sneak preview of their upcoming album showcasing their german dark dream pop with broad soundscapes. Dean Roberts will be the supporting act with his unique contemporary experimental music. Also on stage that evening will be Merganzer; the experimental project of Violinist Mika Posen, and Paper Beat Scissors; with vocals that will haunt you. Kim Deal’s The Breeders are back. The band that released the critically acclaimed sleeper album Pod and the hit single Cannonball is back in business. The Breeders with Melkbelly perform at Corona Theatre, 2490 Notre-Dame Ouest, Saturday, May 5, 8pm. The show is currently SOLD OUT. Witch folk. Dark jazz. Trumpets, banjos, and mandolin. It’s a unique sound that’s gonna capture your attention. Ghostly Hounds got together back in 2015 and hit the ground running by recording demos just weeks after forming. This seasoned band has played over a 100 shows in the last couple years crisscrossing back and forth through Canada. It’s a rare chance to see this Montreal band play right here in their home town; they don’t stay put too long. 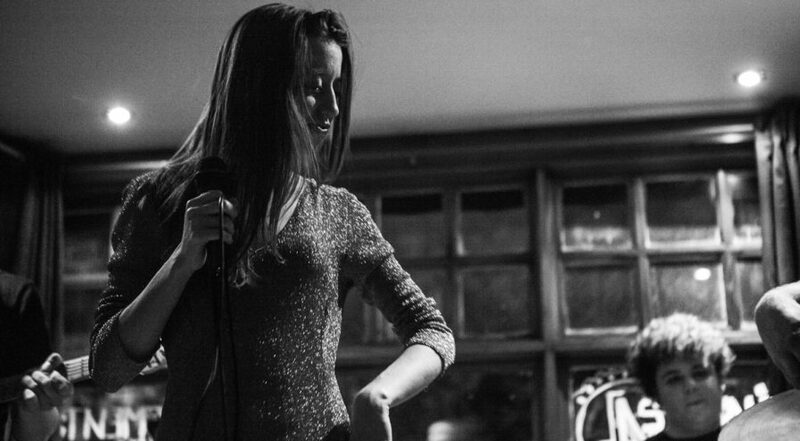 Pope Joan will be releasing their debut album Sympathetic And They Care this week. The band has a real cool sound. Low-Fi sensibilities combined with punk. Dancy and rhythmic grooves. Also, three power chord ballads are not frowned upon. And protest anthems are free flowing. 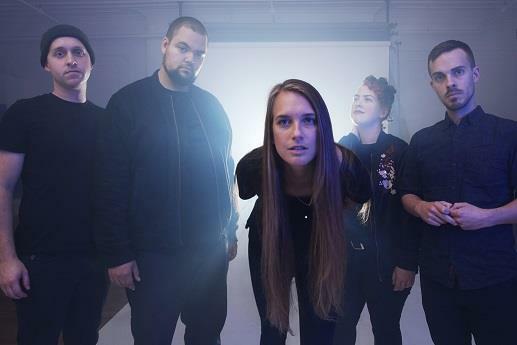 The band has been cutting its teeth on the underground Montreal circuit, fine tuning their sound and playing to crowds at Basin Fest, off the beaten track underground venues, and basement shows filled to the brim with college kids. They will be celebrating the album release with b- movie inspired punk rock Fightface, The Le7tovers, a popular all girl punk rock band, and atmospheric duo Wasp Face. Get a dose of infectious feel good energetic rock with The Brie Face. The band combines alternative, punk and pop to get their feel good uplifting sound. 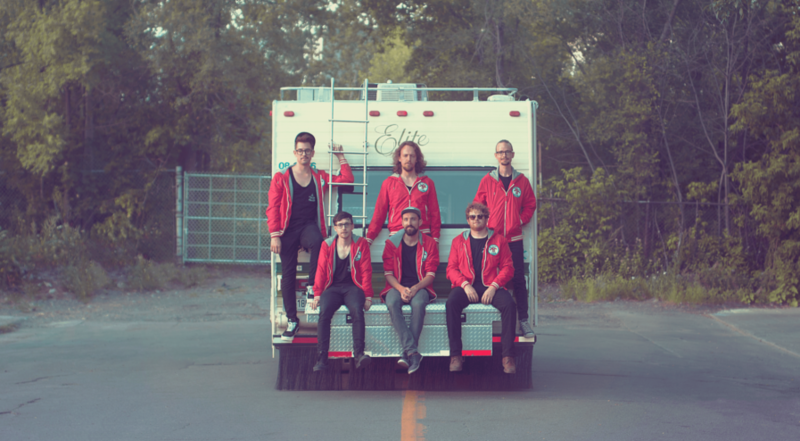 They’ll be sharing the spotlight with Toronto’s The Wet Bandits who have an amped up rock n roll sound. Also on stage that evening will be four-piece pop-punk band Minority 905 from Mississauga who channel the sounds of Green Day, All Time Low, Blink-182, and Yellowcard. Sharing the bill is doo wop core band We Once Were. 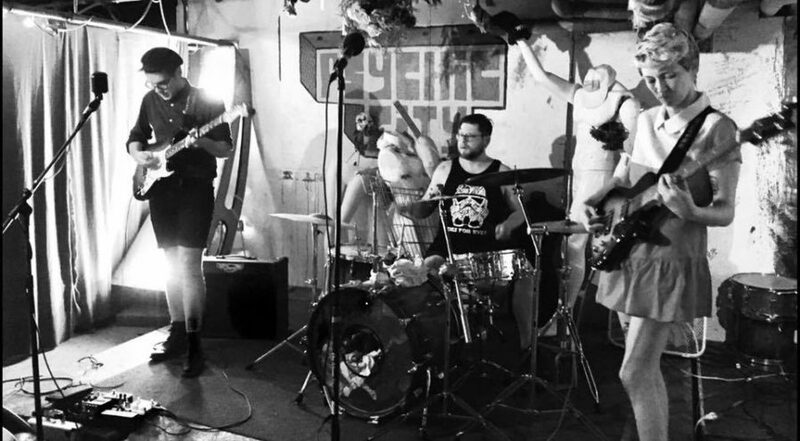 Montreal’s own Velvet Noise is set to take the stage this week. The band released its first album three years ago to critical acclaim. Since then, they have tirelessly toured Eastern Canada and nearby New England. And it’s been a journey. Managing doubts. Dealing with lots of emotions. Lots of ups, lots of downs. Growing as musicians and as individuals. And above all persevering through the struggle we call life. The result: five brand new songs of trendy indie pop-rock. They’ve got a melancholic vibe channeling the spirit of Snow Patrol and Radiohead but with musical complexity a la Mutemath and Half Moon Run. So come see them for an intimate experience at Casa as they celebrate the launch of their second album, one that is certain to make a stir. 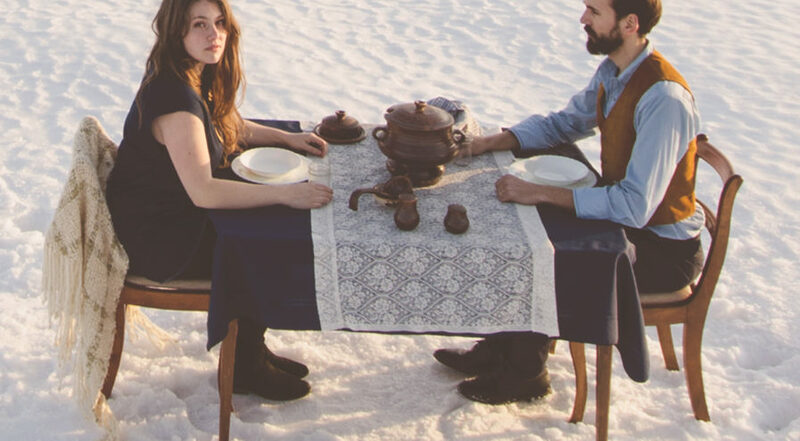 Blowing in from New Brunswick this week is four-piece folk band The Olympic Symphonium. The hardworking band has been paying their dues since 2005 and have developed their own unique sound. All four members contribute to the songwriting process tackling real life issues like the complexity of family life, the inevitability of death, the mundanity of life on the road, and struggles with mental illness. Power pop trio Dany Laj And the Looks will stroll into Barfly this week to offer their mix of rock/folk/country infused music that has that unmistakable 70s power pop vibe with plenty of Joie De Vivre. They will be celebrating the release of their freshest single Left Right To One which you will be able to buy as a digital download or vinyl record. Les Envahisseurs will be on the bill bringing their energetic garage rock to the scene. This band has played all over Canada, United States and Japan sharing the stage with prominent acts such as The Lyres, The Love Me Nots, and The 5,6,7,8s. This quirky band has great stage presence, and intelligent lyrics to boot. And there will be go go dancing. Completing the bill will be Waveyard which mixes a blend of 60’s spy movie rock alongside garage instrumental surf. New York based duo Sofi Tukker grace the stage in Montreal this week showcasing their unique dance music that has made waves on the US pop dance charts. The duo has had their music championed by Apple and PlayStation. Apple used their single Best Friend in their commercial for the Iphone X. Playstation 4 also used it in the soundtrack for their game Fifa 18. And their songs Drinkee has been nominated for a Grammy. The House/EDM outfit will be showcasing songs from their newest release Treehouse freshly released 2 weeks ago. 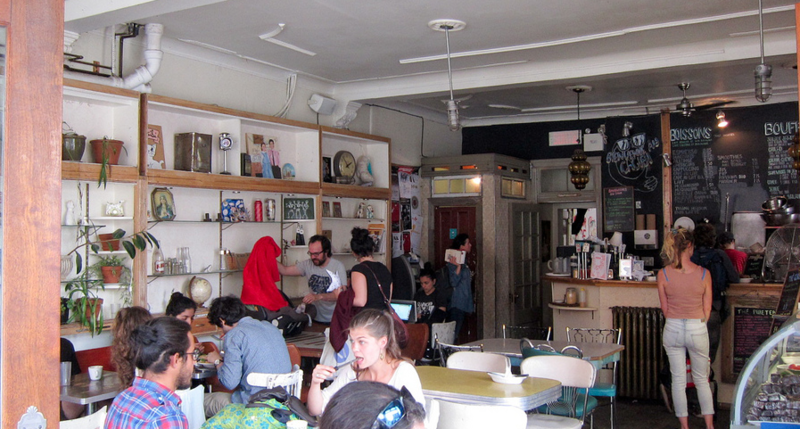 This week there is plenty of great music to check out in Montreal. We’ve got indie emo rock, relatable non-bubblegum, hard rock and even a burlesque show (not technically a music show, but it still fits). In a world spurred on by the likes of Instagram, where it’s almost a sin to not be happy shiny people 24/7, a breath of fresh air has finally appeared. Ziggi Jadovsky is her name. And she’s The Genuine Article. She’s caught the attention of the press without any record label support or artist development team. Her voice has been described in the press as otherworldly, genuine, magical, beautiful, and a world class stand out. Her songs address issues like grief, fighting negative self-talk with an encompassing air of nostagia. She’s backed by a jazz rock trio backline of musicians with a cohesive sound that’s reminiscent of Jefferson Airplane, Tim Buckley, Hiatus Kaiyote, and Billie Holiday. Southwest indie rock band Lydia graces the stage in Montreal this week. The band’s popularity has risen over the years thanks to MTV and Yahoo Music giving a lot of playtime to their single When It Gets Dark Out. The hard working band has played to massive crowds at Vans Warped Tour and Bamboozle Festival. Emo Pop Punk outfit Moose Blood will be headlining the show. They’ve been compared to Brand New, The Get Up Kids, and Amercican Football. The band members starting honing their skills in metalcore bands like Burn Down Rome and Harbours, but eventually gravitated to more singing and melody. Their first EP reached number 45 on the Billboards Heatseekers Chart. They’ve entertained big crowds at Warped Tour, Reading and Leeds. They will be promoting their freshly released album I Don’t Think I Can Do This Anymore released last month. Come see some amped up live rock n roll at Barfly, make sure to get there early as the pub packs up fast and it’s a small space. Local rockers Dead Messenger and Half Measures will be sharing the sage with Mad Ones from Toronto to rock your socks off. Okay, so this one’s not a music show, but by all indications it will rock, as burlesque shows in this city generally do. Since the sister column to this one, Arts Shows This Week, is on a bit of a hiatus, we’ll talk about April’s Candyass Cabaret (there’s a new one the third Friday of every month) here instead. The theme this time seems to be the vernal equinox (even though that was last month, but it took a while for spring to arrive) and the lineup features Candyass veterans Damiana Dolce, Roxie Hardon and Nat King Pole. The host is Jimmy Phule. If you’ve never been to one of these shows, what are you waiting for? The autumnal equinox? Did you hear the birds chirping early this morning? Did you notice the dewy grass thawing? Winter if FINALLY over! The cool breeze this morning confirmed what we’ve been all waiting for. Spring is here for real. And we’ve got some great live bands to celebrate the good times ahead. Les Ismore bring their their grungy classic folk rock to the stage with tinges of LA glam metal and reggae to boot. 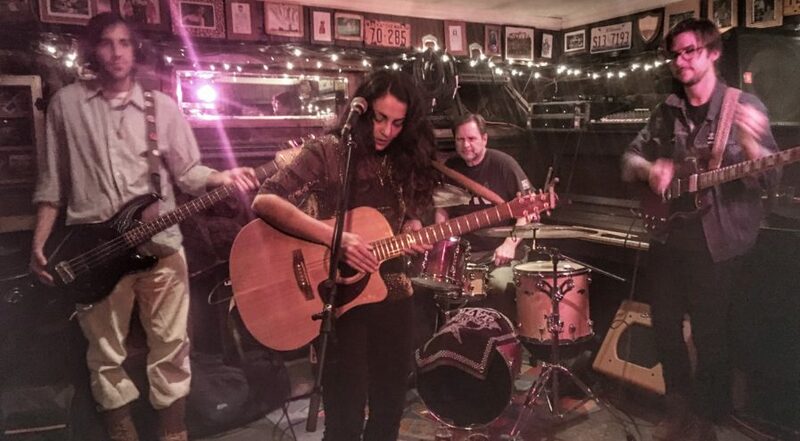 They will be sharing the stage with Naghmeh and the Southern Shores who will rock out their folk rockin’ tunes with middle eastern influences and lyrics dripping with sass. Sharing the spotlight that evening will be Broke Diplomates who’ll showcase some fine 70s psychedelic and British Invasion influences. Opening act Sella will display some witchcraft influenced dark vibey music drenched with blues soul and dark cabaret. To top off the list, second opening act Jason Allman, will also appear on stage. With no presence online, who is this mystery musician? Is he one of the Allman brothers? Ellen Doty. She’s got a one in a million voice. She’s a real road warrior; her last cross-Canada tour included 42 show that she booked herself. She will be in town to display her latest album which is all about pop, jazz, soul, folk, and indie music. Yet, instead of the usual instrumentation, this album has no bass, background vocals, horns or layers. Just piano, voice, and drums showing off a raw and spacious sound. Come see her soulful act, a show you won’t regret. It’s not important that he’s sold 40 million records worldwide. It doesn’t matter that his 80s single Never Gonna Give You Up was a huge hit. What’s really important here is that Rick Astley, yes THAT Rick Astley is performing here in our hometown. Not familiar with his work? Sure you are (if you’ve ever been Ric-Rolled). Sweet Roger brings his genuine performance to the stage fueled by the sounds of folk, Americana, and alternative. Also performing that evening is vocalist, guitarist/composer Nolan Hubbard who brings his evocative acoustic-pop songs from his first album recorded in Nashville by recording industry heavyweights. Also sharing the stage will be passionate singer songwriter Cinzia who, along with The Eclipse, will showcase her rock pop songs with stellar vocals. To top off the list, Americana country rocker Greg Mcevoy blows in from Toronto. Sweet Roger, Nolan Hubbard, Cinzia and the Eclipse and Greg McEvoy perform at Barfly, 4062A St Laurent, Friday, April 13, 8pm. 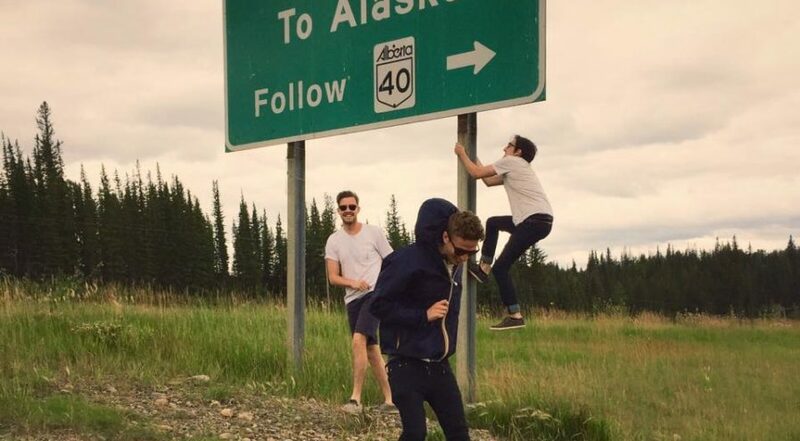 Scenic Route To Alaska will be in town to spread their contagious pop sound. They are already a a hit in Australia and Europe, and their unique brand of pop actually has substance. To find out more about this band check out our contest post for details. Hello dear FTB readers and welcome to another edition of Montreal Live Music Shows This Week. We have an eclectic mix of recommendations for you, from avant-guard progressive metal to authentic electro-pop. We also have some great local alt country/bluegrass as well as maritime acoustic folk rock coming your way. Since there’s nothing positive to say about the rain and snow on its way to Montreal, let’s keep things on the up and up and focus on the live music! Nova Scotian Jesse Potter brings his heartfelt solo act to Barfly to showcase his latest songs filled with creativity. Hailing from an ocean side town in Annapolis Valley, Potter draws inspiration from the crashing waves of his hometown, and the awe-spiring nature that surrounded him growing up. 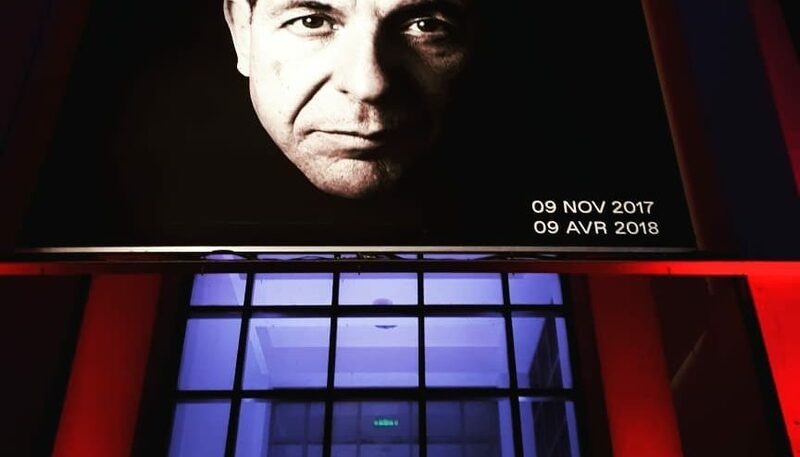 Inspired by jazz, gypsy music, folk, and pop, he brings his unique brand of adult contemporary acoustic jazz to Montreal on his first cross Canada tour. But make no mistake, he’s been grinding away at developing his sound for several years; he has a full LP out produced by Scott Hupman of The Hupman Brothers, and has played well known festivals back home like Lunenburg’s Folk Harbour Festival and Wolfville’s Deep Roots Music Festival. 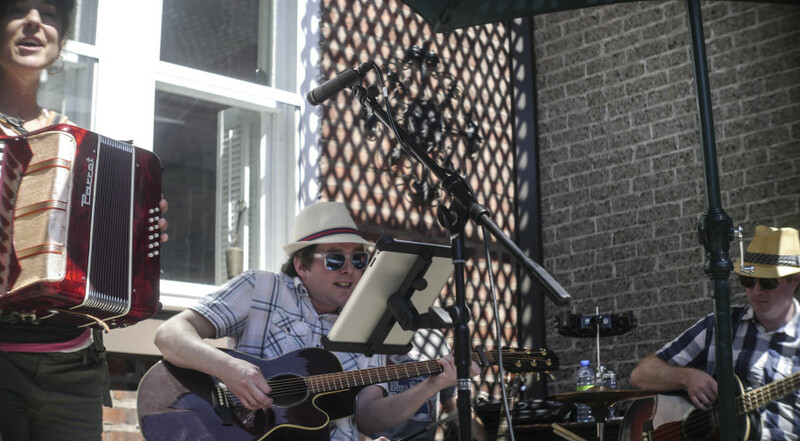 Musical inspirations include Andy And Ariana, Micah O’connell, Adam Bazinet, and Chris Robison. Montreal’s own folk rock outfit Temporary Flings open the show. It is the brainchild of two songsmiths Shawn Thicke and Jean-Marc Grenier. Both had a hard time finding the right musicians to work with, but once they met, the chemistry sparked immediately and they came up with four songs right off the bat the first time they jammed. Influenced by classic bands like Led Zeppelin, The Hip, and Dave Matthews Band, the misfits teamed up with rockers Zacharie Robert on bass and Jas Bat on drums to complete the lineup. Alt country folk outfit El Coyote will be launching their first album of all original material at Casa this week. It was recorded, mixed and mastered by Gilles Castilloux at The Treatment Room; the go to studio for big names like Plants & Animals, Stars, Wintersleep, and We Are Wolves. The band was a happy accident resulting from casual Friday night jams for local musicians with busy careers to let loose, have some fun, and get through the winter. But as the weeks went by, everyone around the table started to realize that there was something more to this. Originals started to appear and by springtime, a full album worth of material was ready. El Coyote is a great blend of country, americana and bluegrass that comes with a lot of heart and soul. And the vocal harmonies are stellar. Indiana progressive metal band The Contortionist come to Montreal to rock the stage and promote their latest album Clairvoyant. The band has been part of over 22 concert tours so far. The hardworking metallers, influenced by bands like Deftones, Meshuggah and Dream Theatre, have four studio albums and three EPs so far. Lyrically, The Clairvoyant album has a melancholy vibe. Unlike their their previous album Language, which was more upbeat, this time around the lyrics focus on death and the darker side of that. The Contortionist is one of those bands that is the opposite of bands like Slayer, Killswitch Engage, or AC/DC who do the same thing album after album. Instead, they are taking the route of bands like Pink Floyd and Mastodon and experimenting with new ideas and sounds each album. The band started off releasing their first album of typical heaviness: down tuned guitars, with big riffs and lots of chugging. Solid album but nothing that set them apart from the dozens of other bands doing the exact same thing. Three albums later, with a new vocalist, the band is coming into their own. The atmospheric vibe gives their single Reimagned a dreamy feel, and you can hear pop influences within. Hailing from North Carolina, Grammy nominated duo Sylvan Esso have been working the circuit since 2013 with their brand of indie-electro pop. Their first album reached No. 39 on The Billboard 200, and they’ve played The Tonight Show Starring Jimmy Fallon. The band has come a long way. Both musicians were in bands that never went anywhere. But a chance encounter at The Cactus Club in Milwaukee changed their destinies forever. They recorded their self titled debut album in an apartment bedroom and started touring in a Toyota Prius, the band having to do their own light show. 12 months later, they were headlining theatres and playing big festivals. What Now includes the single Coffee which has streamed 47 million times on spotify. M bar is hosting an interesting evening Friday; distinguishing themselves from the rock, pop and metal going on this week, we have a special show that is swinging with jazz, lounge, and art rock. The all star lineup of The Firing Squad consists of Alex Lepanto, drums, Gideon Yellin, guitar, and Lloyd White, bass. This professional backing band will be supplying the tunes for inspiring singer Enzo S, as he brings his version of jazz, funk and rhythm and blues to the stage. Incredibly, this show is absolutely FREE. Plus, happy hour is happening LATE, so you’ll have from 10pm-12pm to fill up on cheap drinks and enjoy some TOP NOTCH musicians grace the stage. Hooray! It’s the last week of winter. Time has sprung forward, the clouds are starting to part ways, and even though it’s still cold outside I swear I saw these dudes wearing florescent shorts the other day. Montreal, as usual, has tons of live shows going on. We made a special effort to fine tune our list for some truly relevant picks that we believe would be of special interest to you, our dear readers. We got pop, we got heavy, we got psychedelic, we got folk, we’ve got the political and more! Oh and the prices are quite attractive for all the shows, I’d even venture to say that some of these are being had at bargain basement prices. So don’t let some great opportunities pass you by and enjoy our pics of the week! Montreal’s own The Moonlight Club plays an intimate show Thursday March 15th @ L’Escogriffe to launch their first LP. If you’re in the mood for emotive dreamy music with a hefty dose of 80s new wave hooks, you’ll be kicking yourself for missing this one. This raw authentic power trio doesn’t play shows that often so you’ll want to jump on this one. We had the pleasure of interviewing the band. You can read it and then head down to l’Esco for an early show. 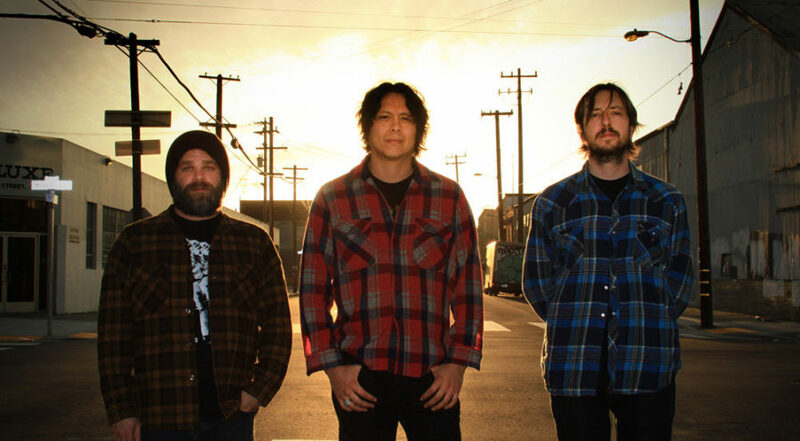 Hailing from San Diego, instrumental band Earthless combines classic & psychedelic rock, modal jazz (think Miles Davis) and krautrock. Don’t get the wrong idea, though, these guys are not stoner rock. In fact, they don’t even smoke pot and would rather opt for a refreshing iced tea. They’ll be supporting their newly released album, Black Heaven, playing at L’Astral on Thursday March 15th. The band recorded the album in Joshua Tree, California, with Eagles of Death Metal’s Dave Catching producing. Although Earthless has been mainly an instrumental band, this is the first album where the majority of the songs have vocals. If you are into bands like Rocket From The Crypt, Nebula, Hot Snakes, you’ll want to see these guys play live. At $24.75, attending this concert is a real steal. She’s got vocal pipes of steel. She can keep up with the likes of Janis Joplin, Tina Turner and Eta James. The former singer of punk band Gossip Beth Ditto will belt out dancy uplifting tunes at Theatre Fairmont Friday March 16. Truly a feast for the ears. This is my personal underdog show for this week; and what a diamond in the rough. Listening to the music, I’m just amazed how soulful these two local acts are, a real treat at a price a fraction of what the show is worth. Fingerpicking goodness resonates from Ol Savannah with music sung deep from their southern souls. They’ve been honing their sound since 2008, first as a duo and then expanding into a five-piece with three albums under their belt. This is a benefit show to support Montreal’s Sun Youth. So bring canned goods, and some unused clothing to donate and get $2 off the $10 door price. Once again, what a steal this show will be, and combined with a great cause, you can’t go wrong. It will be loud. It will be heavy. Gutser will be headlining their fourth anniversary show presented by CJLO and GrimeyMTL on Friday. KATO rounds off the bill; although we couldn’t find a demo, they have a cool name and that counts for something, right? 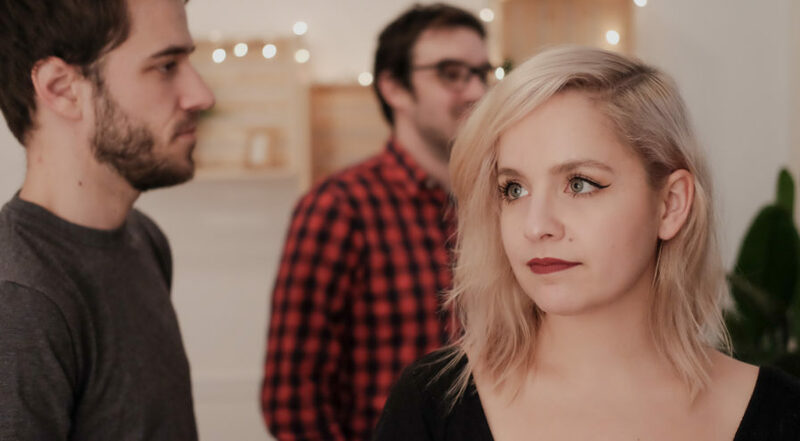 The Moonlight Club is a Montreal based power trio with exceptional songwriting craft that released their first LP on Feb 2nd, 2018 including two official singles. They possess a refreshing and energizing signature sound that demonstrates strong hooks combined with inspired creativity. You don’t want to miss their intimate album launch at L’Escogriffe this Thursday. They look like typical indie rockers you’ll spot walking the shady streets of the Mile End; beards, jeans, tattoos and semi-hollow guitars. But what distinguishes this power trio are its songs: energetic, authentic, with an unusual intensity. The indie three-piece drew inspiration for the band’s name from a club in London’s West End Lane that showcased bands that were part of the New Romantics club scene of the 80s including Joy Division and The Specials. The fact that psychedelic electronic act The Stone Roses played there before the beloved club closed down added to its mystic appeal. Primary songwriter, guitarist and lead singer Francois Royer Mireault and John Pankert (bass and vocals) each jammed with a lot of musicians over the years but it was really their chemistry together that fueled their passion to embark on a musical journey that captured the attention of artist development firm Indy Montreal. That chemistry remained strong and lead to the creation of their first EP, Words in Gold, in 2015, and then again to their next big step which was recording their first debut self-titled album in 2017. Francois draws inspiration from The Stone Roses, Neil Young and The Kinks. Frank Rousso’s agile expressive drumming and John’s groove laden deep bass lines draw inspiration from bands like Half Moon Run, Plants & Animals and Leif Vollebekk. Francois’s approach to songwriting is organic and free flowing, where there is no start or finish. His phone is filled with little bits of ideas here and there. When the right time comes, he’ll use his backlog of 15-20 ideas and then he’ll hunker down and really focus on the details. Both he and John, the band’s other primary songsmith, work on their concepts by themselves until a sketch is ready to show others. After that, its months of fine tuning with the objective ears of friends and band-mates and then a final spin with a producer. The band burrowed themselves away for only nine days in the studio to emerge back into the world with seven brand new songs. They chose to record at famed Breakglass Studios nestled in a loft in the hills of Montreal’s leafy Plateau. With 5000 square feet, vintage Fender Silverface amps, a 70s Ludwig drum kit, a grocery list of ribbon microphones, and a 1968 Neve Pre 80 Series input console; the boys were in good company. 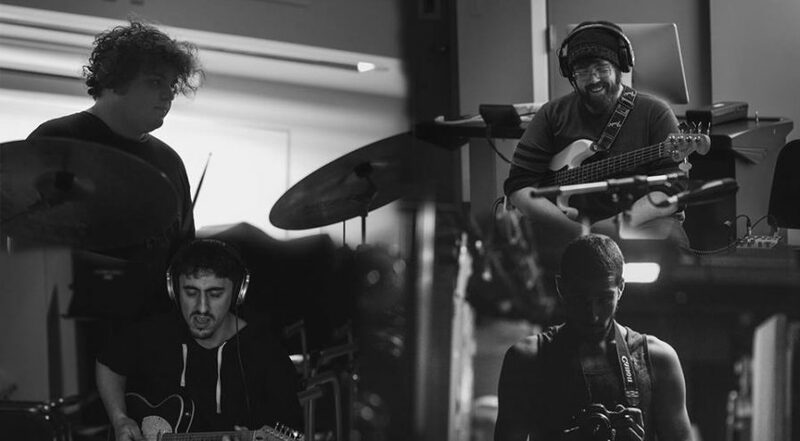 Guided by the wisdom of talented producer David Smith (Elephant Stone, Patrick Watson, Leif) the band went on a musical journey and discovered what they were made of. In the vein of less is more, The Moonlight Club demonstrates that a lot can come out of simplicity. Although they already recorded two EPs before this album, their core signature sound has remained the same. If anything, they’ve refined the arrangements for recording their first LP demonstrating an increase in confidence and willingness to reveal more. 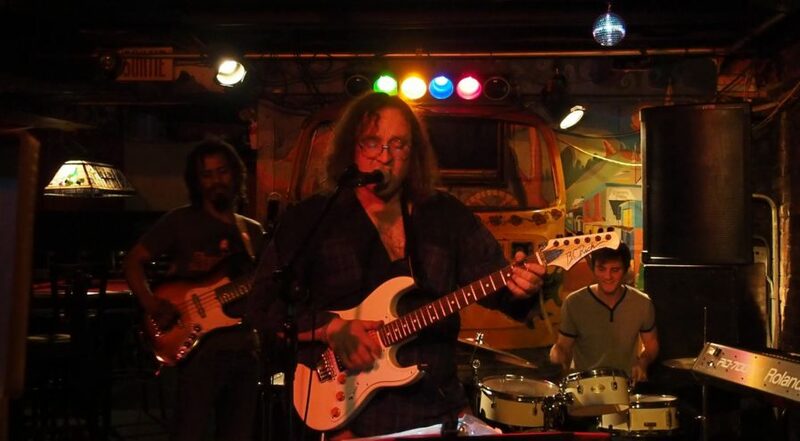 With less fills, less distortion, less speed and more space for vocals, and the addition of agile drummer Francois Rousseau, the band has channeled the spirit of raw authentic bands like Neil Young and Joy Divison, celebrating their own unique take of an expansive energizing sound. Plans for 2018 include several shows already booked in Montreal for the upcoming months, filming some original video clips for some of the songs as well as creative side projects for various members of the band. Also, there are some live sessions with local radios in the pipeline. In addition, the band has their eye on getting on the roster for outdoor summer festivals to gain exposure to a wider fan base. This week’s preview will be focused entirely on the Third Annual N.D.G. 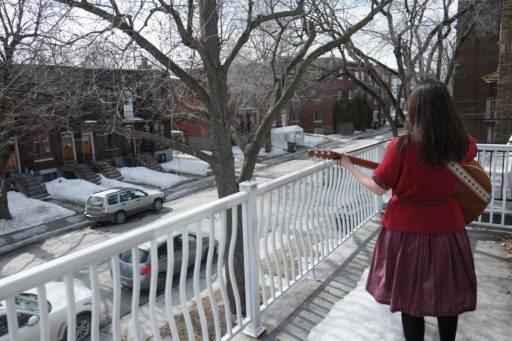 Porchfest which is set to take place this Saturday and Sunday. If you’re unfamiliar, here’s the event in a nutshell: It’s a music festival open to any solo artist or band that has access to a porch located somewhere in the borough and is willing to put on a free show for whomever passes by. Some of the artists are professionals who perform for a living while others are basement warriors who just want their tunes to see a little daylight. The beauty of this fest is that all are welcome. While you would most commonly associate this DIY festival with Folk/Blues/Rock music, the fact is it’s open to any genre as long as the artist is willing to translate their style to a porch setting. The result is you can walk the streets of N.D.G and hear just about every kind of music. They pushed the fest back by a couple of weeks this year and it seems like a great decision. The forecast is calling for comfortably warm weather and mostly blue skies which is highly relevant for a fest that takes place completely outside. A good place to start your Saturday off would be with Cräckers & Jam who will be bringing their laid back brand of indie rock to the good people of Marlowe Avenue. This is not only a nice way to ease into the afternoon but a very central place to start from with tons of shows on the surrounding blocks. Benson by Crackers and Jam Cräckers & Jam play 2119 Avenue Marlowe, Saturday May 20th, 12:00pm. If you want to participate but have trouble getting around we suggest you stick to Oxford Street on Saturday where there will be four bands playing at two addresses quite close to each other. At 2157 Oxford will be Dirty ol’ Band and Steelburner while 2309 Oxford will host Hot Club Trio and The Vlcheks. The shows are set up so that no two bands are playing at the same time. Christmas Time is Here by le Hot Club de ma Rue Dirty ol’ Band and Steelburner play 2157 Oxford, Saturday May 20th, 1pm and 2pm. Hot Club Trio and The Vlcheks play 2309 Oxford, Saturday May 20th, 3pm and 4pm. If you like jazz, blues, soul and funk music mixed together with quite a bit of horns, then we suggest you head down to Melrose late Sunday morning for Voodoo Jazz. 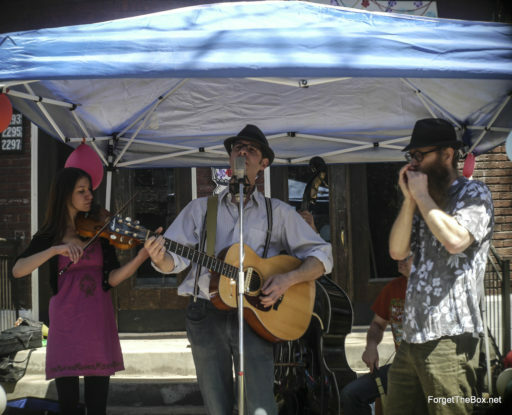 Back after a break of a few years, this band is ready to treat PorchFest audiences to both instrumental numbers and songs with vocals.